Have an enquiry? Contact Casket Fairprice, speak with us for a quotation or advice on choosing a funeral package that’s suitable for your loved one. Just call us at 6455 9909. We offer free phone consultation with absolutely no obligations. We simply want to help you through this period and make the funeral planning process as smooth as possible. We have a transparent pricing promise – the price we quote to you are nett prices with no hidden fees. We do not charge overtime for work done after office hours and during public holidays. Our CaseTrust accreditation is proof of our dedication to this commitment. 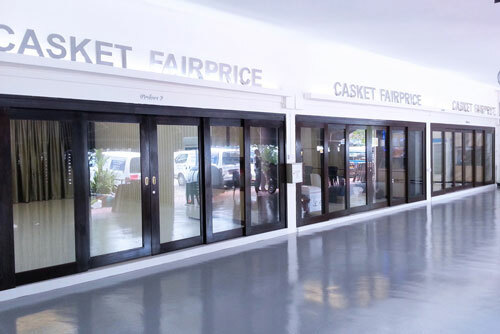 At Casket Fairprice, our goal is to provide families with heartfelt funeral services that allow friends and families to pay respects to the recently deceased. We do so by taking all funeral-related hassles away from you, and handle these logistics so you don’t have to. Our team is available 24 hours a day, 7 days a week. Please feel free to call at any time, we are here to support you.